Indoor Positioning has many different names depending on the use case, but no matter what you call it, indoor localization is gaining more and more prominence in the media and importance in the IT sector. It is referred to as the next big thing, bigger than GPS or Maps because of its functionality and ubiquity by no other than Don Dodge of Google. What is allows you to do is locate an object inside a building where GPS is not able to function. While this might not seem a big thing to general users, it will benefit everyone. Obviously it is well documented that Google are heavily behind this as Don Dodge has publicly stated, it is also no secret that Apple are moving forward with this. In fact Apple’s acquisition of indoo.rs competitor WifiSlam further shows the potential of indoor navigation and hints to the next generation of smarter smartphones. This is just further shows that this is a something that will be shaping the way we interact with indoor locations in the future. This is only just the start, we except big chipset manufactures, marketing & advertising companies and also other tech giants to get involved soon. Who will benefit from Indoor Localization? 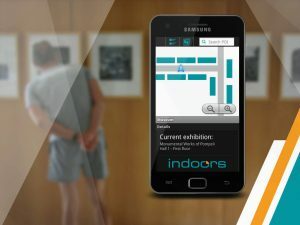 Indoor Navigation will benefit consumers, businesses, venue owners, marketers…because of the numerous opportunities it provides such as navigation, location sharing, shopping list routing, offers/coupons, advertising by location, asset tracking and workforce location, to name a few. The aforementioned benefits are just the industry brainstorming about what is immediately possible, but as this is a new technology; Indoor Positioning has the chance to create new jobs, new solutions and much more in the future. No wonder it’s seen as the new “it” of mobile technology. This really is a watch this space moment in the development of Indoor technology.